About 40 years old, a classic cherry small chest or dresser has a pull out shelf. 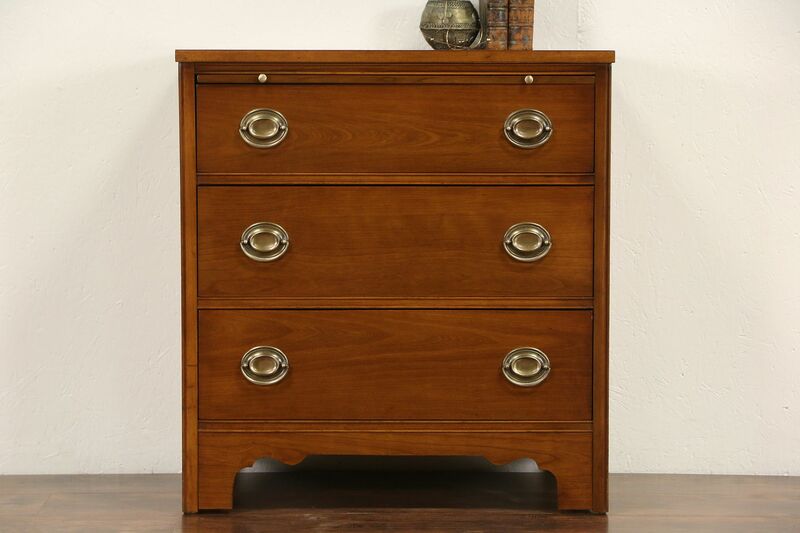 Signed Permacraft of Sanford, North Carolina, drawers have dovetailed joints and original brasses. The finish is revarnished for durability on this vintage American made furniture. Size is 28" wide, 16" deep and 30" tall.